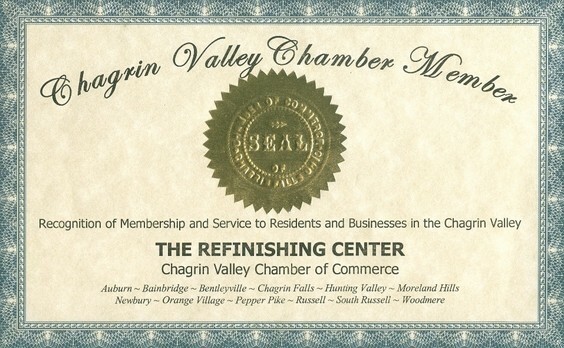 The Refinishing Center is a professional company that has served the Chagrin Valley area for over 20 years. We take great pride in our work. If you need an antique restored or a piece of furniture that is in need of refinishing or repairing then you have come to the right place. We offer estimates, touch-up services at the customer's home and pick up and delivery. We refinish all kinds of furniture. No project is too big or too small. We can strip, repair, re-glue and refinish all kinds of furniture, as well as antiques and priceless heirlooms. We can fix anything, is owner Benjamin Malovany's motto. Benjamin has been in the refinishing business for over 20 years. He has a degree in fine arts. He takes great pride in his work as do all of his staff. In this state-of-the-art studio, we only offer master craftsmanship. In the business for 21 years and in our Chagrin Falls location for nine years, we have finely honed our craft as refinishers. Our sterling reputation has earned us a long list of happy clients. Please proceed to our testimonial page, where furniture owners like you have discovered what a difference we can make.